UK Stampin' Up! 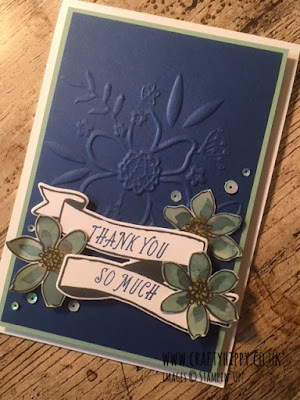 Demonstrator | make beautiful cards | Crafty Hippy: Create a beautiful 'Thank You' card using Blueberry Bushel Cardstock with the Lovely Floral Embossing Folder from Stampin' Up! 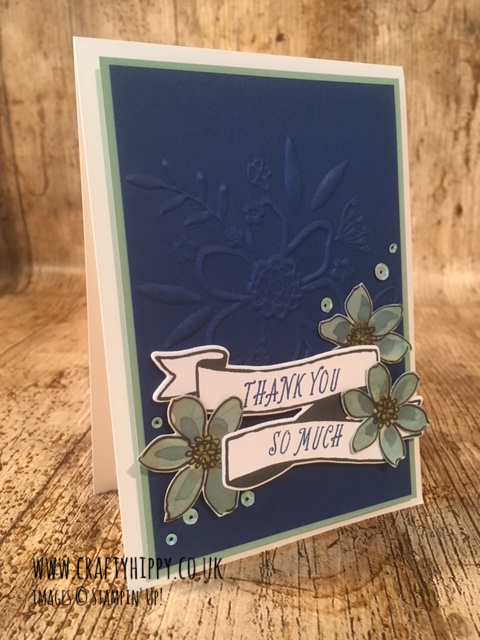 Create a beautiful 'Thank You' card using Blueberry Bushel Cardstock with the Lovely Floral Embossing Folder from Stampin' Up! Create today's project - it's easier than it looks! I love detailed cards. There's something really satisfying about getting the last bits of detail 'just right' (in this case the sequins) - and then standing back to admire your handiwork. Today's card is so simple to make. It's just lots of different elements put together to create a co-ordinated, detailed look. 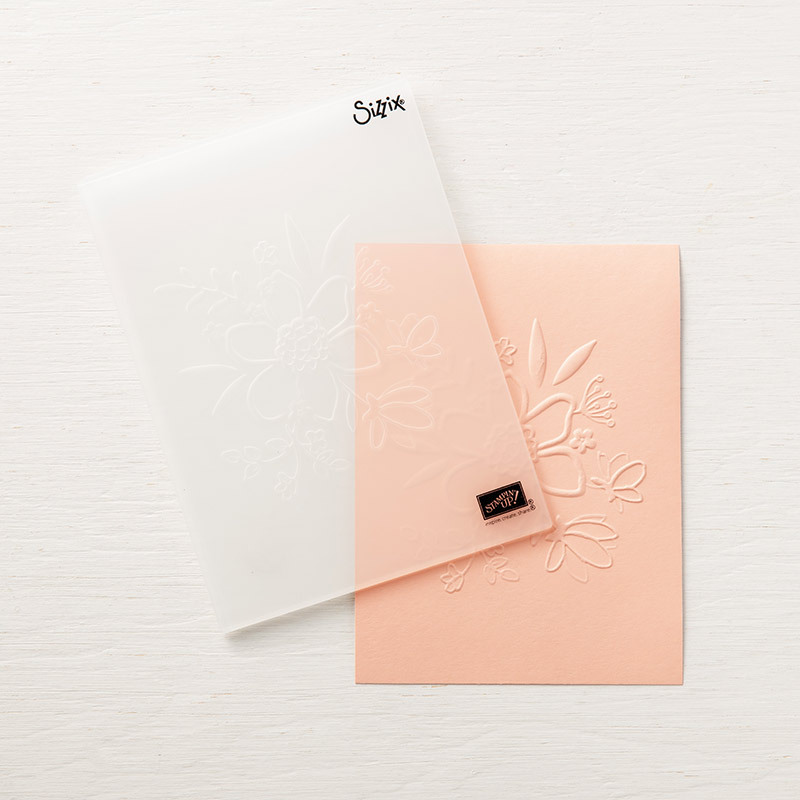 I decided the basis for my card would be some Blueberry Bushel Cardstock and the Lovely Floral Dynamic Textured Impressions Embossing Folder. This embossing folder is from the beautiful Share What You Love Suite and is ideal for all those whimsical, gentle, floral projects..
Once I had decided on the two elements making up the main part of my card, I had to decide what to use next. I opted to fussy cut some flowers from the Stampin' Up! Share What You Love Specialty Designer Series Paper. Of course you could stamp and colour the flowers instead of fussy cutting from paper. You could use buttons instead of sequins, and you could use Black Cardstock for the card base instead of white. So many opportunities to create a totally different card using the same layout. Join Stampin' Up! and get 10 free ink pads!